Brilliant pieces don't always fit together to form a beautiful puzzle, and such is the case with Life, a film whose entirety does not live up to its parts. Anton Corbijn is coming off what is by far his greatest movie, A Most Wanted Man. Robert Pattinson has moved far past his brooding vampire character with a stellar performance in The Rover. 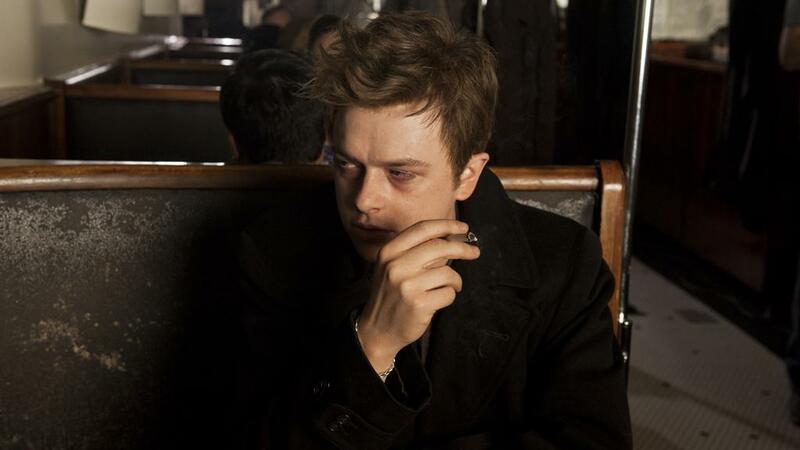 Dane DeHaan proves with every project to be an enigmatic presence who is here to stay. Joel Edgerton is possibly the hottest ticket in Hollywood right now. James Dean makes for perfect dramatic material, a good-die-young story that begs to be told. And yet Life fails to elicit any excitement or intrigue of any kind, due mostly to its snail's pace and its reliance on historical impressions. To say the ball was dropped here would be an understatement; the ball was bounced ever more slowly until it came to a complete stop and every player in the game fell asleep. Dennis Stock is a young man off to a bad start. A New Yorker originally, Dennis joined the coast guard as a teenager, got married early, got divorced quickly, and doesn't get to see his little son. Now in L.A., Dennis takes pictures of celebrities for a living, though what he wants most is to become an artistic photographer, someone with a portfolio that matters, a game-changer in the industry. He could work for Life magazine if only he could find a subject great enough to warrant an exposé, but instead he simply slogs along the red carpet, shows up at studios, scrapes by, and slowly leaves his dream further & further behind. California is not a gold mine for everyone, especially not for Dennis Stock, as every day becomes worse than the one before. But that all changes when Dennis meets James Dean. The young and mostly unknown actor just hit it big in Elia Kazan's East of Eden, bursting onto the scene with a dark charm that is sure to win the hearts of American moviegoers. Dennis recognizes this talent, sees the potential, and decides that he must get Jimmy to agree to a photo shoot. Only problem is, the budding star has no interest in fame, he's in it for the art. He wants the lead in the upcoming Rebel Without a Cause quite badly, but doesn't really want the stress & rules that go along with becoming a leading man. Stock & Dean begin a rocky friendship that will take them to Time's Square, to Indiana farm country, and to whatever the future might hold. Now the negatives. Anton Corbijn isn't actually a successful film director. He mostly did music documentaries in the past, dabbled in film a bit, made a mediocre hit out of The American with George Clooney in 2010, wowed me in 2014 with Philip Seymour Hoffman's last starring role, but hasn't really produced anything else. That he doesn't exactly know how to weave drama through a fictionalized true story shouldn't be all that surprising when you really think about it. And Life faltered because of exactly that; a lack of drama and, ironically, life in the spare moments of the film. The acting was great, the representations of famous characters interesting, but the gaps between quality scenes were glaringly dull and made without magic. In the end, the film became boring if anything, cold & pointless, with an ending on its way that we all knew was coming eventually. Video: With an aspect ratio of 2.35:1 and shot using an Arri Alexa camera with Panavision Primo lenses, the video quality of the DVD is a high point of the film. Though not colorful, the dark theme of the visuals set the mood for the story and represented James Dean very well. The attention to detail to bring these historic shots to life was impressive, with the visuals translating very well. Without a clarity that will catch your eye, the film still succeeds in painting a beautiful picture, and at least got the cinematography right. Audio: Done in English Dolby 5.1, there are no other audio, language, or subtitle options on the disc menu. The sound quality of the film is fine, with a classic background soundtrack and a good audio balance, but without any memorable moments. Extras: There are just a few special features available on the DVD. One is a trailer for the film. 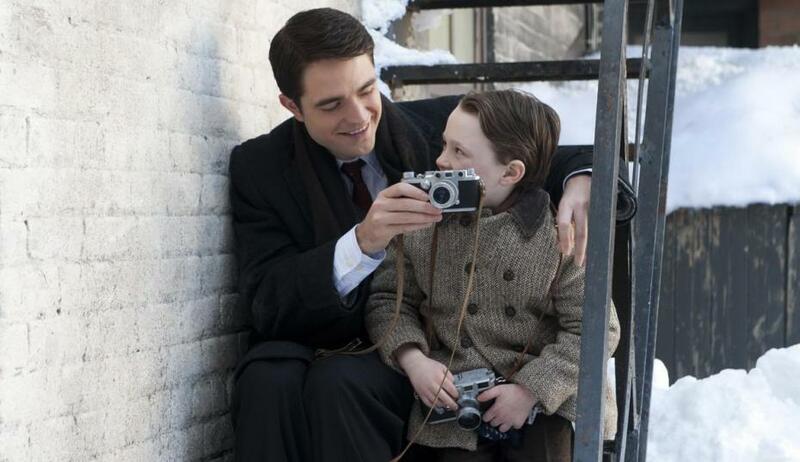 The other is a set of interviews from the cast & crew: Anton Corbijn, Robert Pattinson, Dane DeHaan, Joel Edgerton. Rent It. Although well-made, Life is ultimately too tedious to recommend. I'm sure there's an existential point to be made there, but let's just stick to the film. 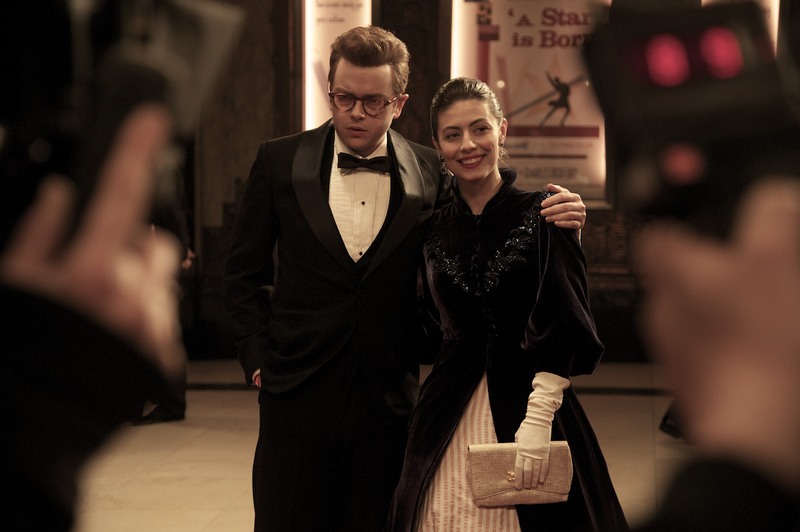 Crafted with solid talent and representing a viable real life story, the film nevertheless failed to take that difficult step toward a strong independent project. It relied too heavily on our interest in James Dean, brought up historic figures perhaps too often, and spent a lot of time attempting to recreate reality. In the meantime, no drama or excitement or investment was pumped into the plot, leaving most moments feeling flat, picking up only when an actor was specifically producing a key scene. Ultimately, that led to a movie that was 70% boring. The video was fairly impressive, the audio was fine, and the extras were few. Rent if you're already a Dean or DeHaan fan, but otherwise take your time getting around to this one.